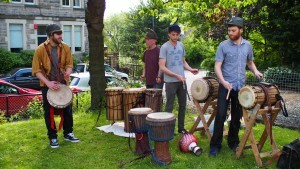 This summer solstice weekend saw the return of the Power of Food Festival to Edinburgh’s community gardens. Across the city, 16 gardens threw open their gates and welcomed in the public, to experience first-hand the magical spaces flourishing right under their noses. From Newhaven to Merchiston, Granton to Tollcross, each garden was unique, with its own original story. Visitors to the Festival may have started the day in a Victorian pleasure garden, wandered into an inventively re-purposed development lot in the afternoon, and sat down for a bite to eat at an intimate farmhouse gathering come evening. Entertainers, artists and educators volunteered their time and talents to make the Festival a brilliant success, with the programme boasting everything from bee-keeping talks and willow-weaving workshops to West African drumming and smoothie-making (using bicycle power!) A group cycle tour, led by Sustrans, provided especially inquisitive visitors with a whistle-stop tour of the gardens. The idea for the Power of Food Festival was born when founder Marie-Amélie Viatte noticed that all around her, communities were coming together to transform neighbourhood spaces into productive food gardens, and forging strong bonds in the process. 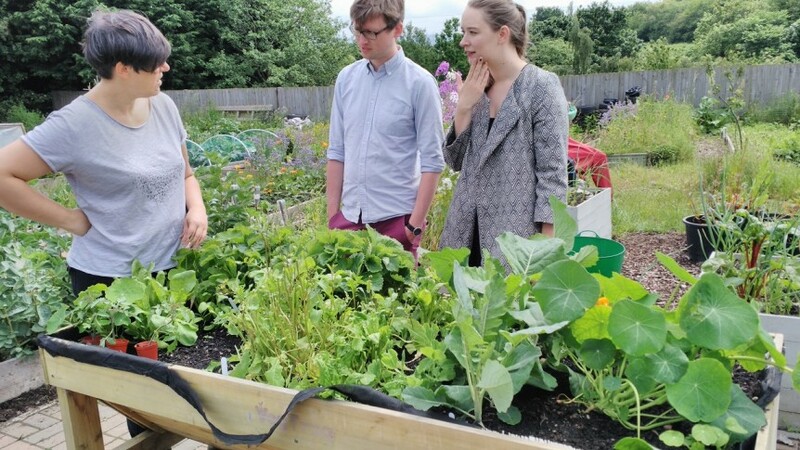 Feeling that this exciting, largely unknown world should be recognised and celebrated, she rallied a group of volunteers and together they worked with gardens to make the first Power of Food Festival a reality in 2015. Over the course of a weekend, strangers and neighbours alike sat down to share meals, listen to live music and to learn about the initiatives being nurtured across the city. 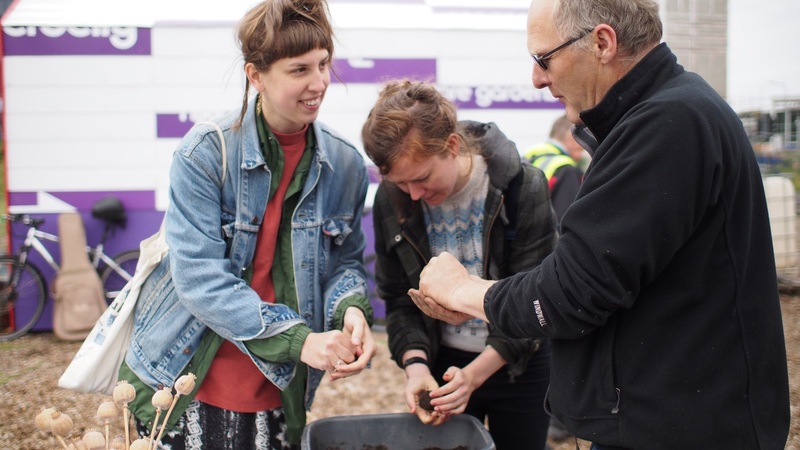 At the heart of the Festival is the idea that money doesn’t have to be king, and that a lot can happen with the good will and hard work of people caring for their community. After all, this is how many of the gardens came to be the productive, fruitful havens they now are in their neighbourhoods. No garden is the same, but all are the product of commitment, hard work and co-operation. A weekend-long party held across 16 locations, with next to no budget, is no mean feat. 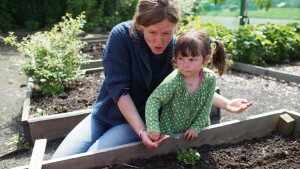 The Power of Food Festival owes its success to the generosity and dedication of its green-fingered supporters.